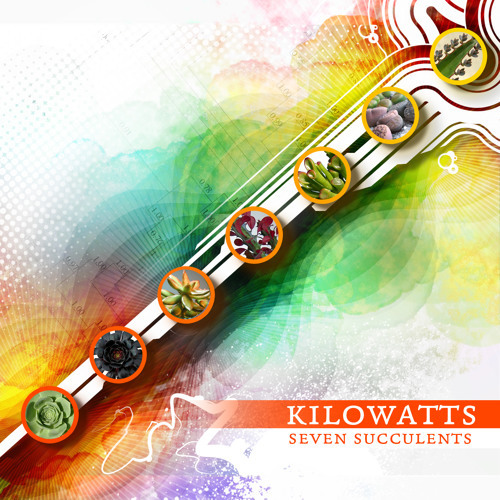 Seven Succulents is a continuation of my 2009 release Six Silicates. Where Six Silicates was a nod to crystals, Seven Succulents explores the weird and wonderful world of desert plants. The music thrives and grows from a single seed, winding its roots delicately through sand, communicating through beacons of sound sent across vast arid landscapes. The songs are named after plants I have tended and cared for over the years, and the collection exists as an homage to the wonders of nature; a love note for quiet desert foliage. Seven Succulents features additional musicians Mike Greenfield (of LOTUS) on drums, Samuel Wexler on violin, Timmayo Sheehan on flute, Lynne Watts on vocals, and “The We’re Home Family Drum Brigade" crammed in my living room making a whole lot of noise.